The task was to create packaging, printed materials and WWW page. Pszczelarium was a low budget project. Based on that assumption we created a consistent set of company materials possible to be produced in small editions and by standard office available means. The logotype design was simple, based on the shapes of a hive, a honeycomb and a simple house. 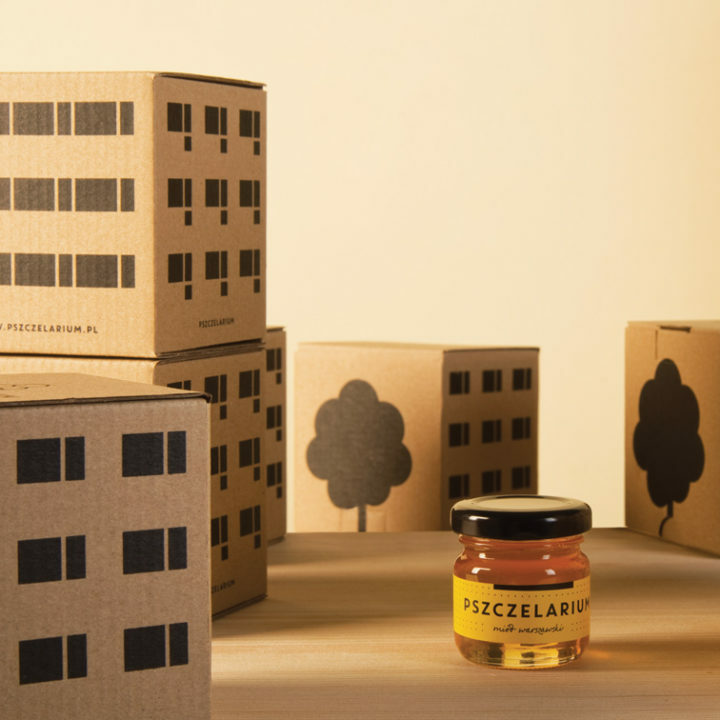 The packaging design was based on the graphically simplified house facades – we wanted to underline the unique quality of the honey which is collected in the city!